Last month, I shared some ideas on winterizing your home…and both those and the tips I’ll share today are designed for both homeowners and those staging a home to enter the Breckenridge real estate market. After all, a warm and cozy house is one that will appeal to buyers this time of year. So without further ado, consider these November projects as the finishing touches to protect your Breckenridge real estate from icy temperatures. We’re in that time of year where a snowstorm can occur at any time. To make sure you’re ready, start collecting the snow removal equipment you need right now. 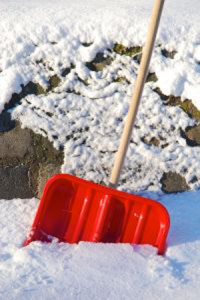 You can gather rock salt, sand or even fresh kitty litter so that when the ice strikes, you are prepared. Snow blowers are also handy to have around. If you don’t have one, this might be a good time to get this convenient machine before the first major snow arrives. Also, if you need more shovels, don’t wait. Purchase them as soon as possible. That way, you’re not the last one at the hardware store if we’re hit with a sudden storm. It’s terrible to feel drafts seeping into your home. That’s why sealing the gaps around your door and window frames is so important. Weatherstripping is another great option. When you take the time to block any possibility of these pesky drafts, you’ll conserve energy while saving money on your electricity bills. Most homes have the water heater either in the basement or the garage. This means your appliance could easily lose a lot of heat in the wintertime. The good news is that you can get an insulation blanket that’s the perfect size for your tank. Don’t forget to follow the instructions on how to install this layer of protection. Once you have this insulation in place, expect to save about 4 to 9 percent in water heating costs. That’s a great savings! The best part of November, of course, is Thanksgiving. While it’s a fantastic time to celebrate with your family and friends, it can also put a great deal of stress on your kitchen. Since your stovetops will be working hard all day long, be sure they’re clean and clear. This will minimize the risk of fires or other kitchen mishaps. You should also get your oven as sparkling clean as possible. To do this, I recommend a non-toxic, fume-free mixture of baking soda, water and vinegar. However, I must caution you not to use the self-clean function on your oven just before turkey day. Self-cleaning actually strains this appliance and could result in a costly maintenance call or something much worse. That’s the last thing you need prior to the holidays. With freezing temperatures right around the corner, there are many things you can do now to prepare your Breckenridge home. I hope this blog offers you some ideas about what may be done to ensure your real estate is ready for winter. If you’re looking to buy a new home in Breckenridge or sell your current home, I’m happy to start discussing the process with you. You’re always welcome to look through the updated listings on my website at any time, and when you’re ready to discuss your options or prepare for showings, contact me via email ([email protected]) or on my office line. Enjoy the holidays and I look forward to working with you!